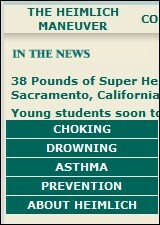 The Sidebar: After nearly four decades, has my father's nonprofit finally stopped recommending the potentially lethal Heimlich maneuver for drowning rescue? 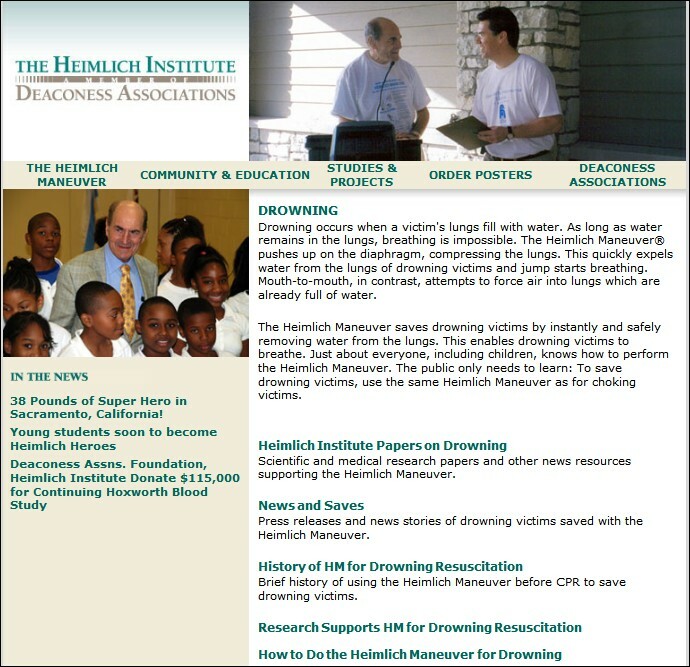 After nearly four decades, has my father's nonprofit finally stopped recommending the potentially lethal Heimlich maneuver for drowning rescue? 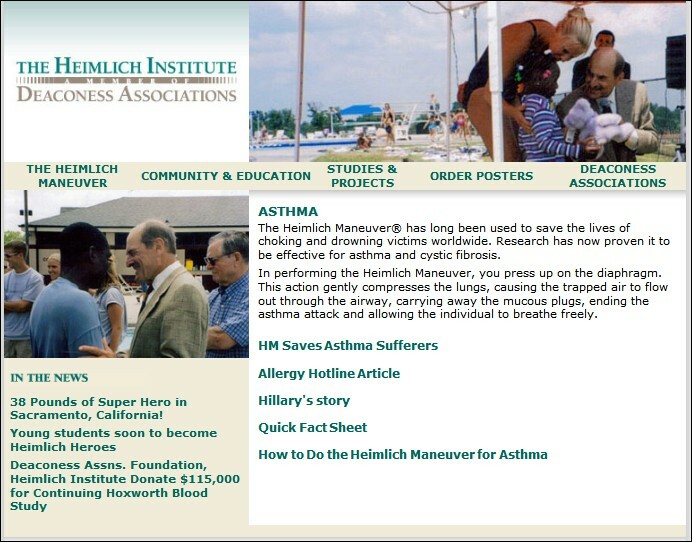 38 years after my father and his cronies started faking case reports to promote the Heimlich maneuver as a drowning rescue method and on the heels of a Special Report by Aquatics International magazine, the Heimlich Institute may finally have given up promoting the treatment. 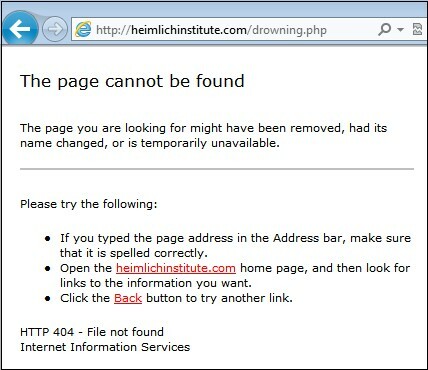 That's not definitive, but yesterday the main pages promoting the Heimlich for drowning were deleted from the organization's website. Same goes for the organization's specious claims that the maneuver is effective for treating asthma and cystic fibrosis. Both treatments have been thoroughly discredited as unproven, useless, and potentially lethal by medical experts and medical organizations including the American Heart Association, the American Red Cross, and the American Lung Association. So has the Institute pulled the plug on both treatments? That's inconclusive because the Heimlich website still hosts dozens of pages that had been linked to the main drowning and asthma pages. Click here for a list I made. 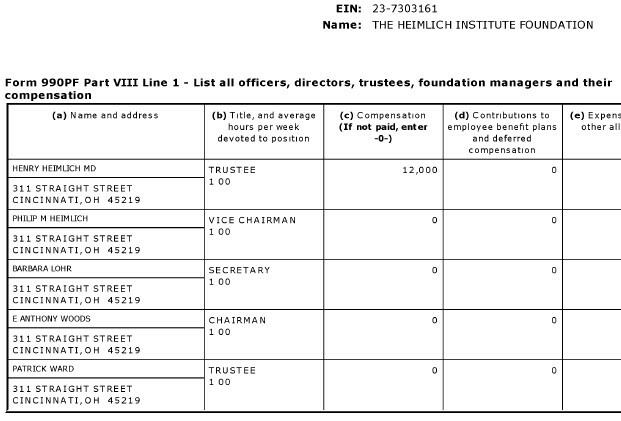 I'll send an inquiry to Deaconess Associations Foundation, which since June 1998 has wholly owned the Heimlich Institute, and will report the results in a follow-up item.